There is a wide variety of flavors in the world of the hams, and each difference is dependant on a number of factors. From the curing method, the type of wood for smoking, and the age of a ham are just some of the critical parts of crafting a ham's taste profile. Sometimes picking the right ham for your special occasion can be daunting. That's why we've created this outline that help you decide between country hams, sweet hams and the award-winning Surryano ham. Edwards' Country Hams are hand-rubbed with salt through a process called dry curing. They are then smoked with natural hickory wood and aged up to 210 days, depending on the country ham. The longer you age the ham, the more intense the flavor. Curemaster's Note: The Petite Country Ham is the perfect size for either a family meal or a holiday gift. Each country ham has a salty, smoky taste. Curemaster's Note: The Wigwam Ham is aged an extra 30 days than the 210+ Aged Country Ham, giving it a more intense, dry cured taste. Overall, this ham has a rich and complex flavor profile. 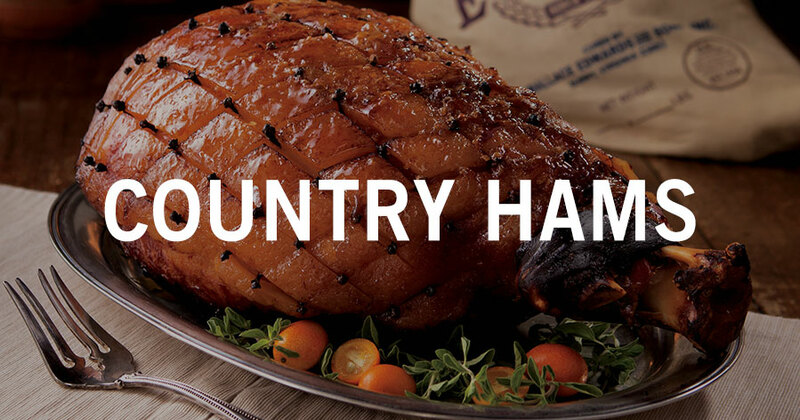 Holiday Tip: Country Hams are most popular during the Christmas Holiday season. Although they are not dry cured with salt like the country hams, the Sweet Hams are slowly smoked with hickory wood and have a milder flavor profile. Most come with an exclusive honey glaze pack for an extra coating of sweet flavor. Curemaster's Note: Both the Spiral-Sliced and Fully Sliced Sweet Ham come with an exclusive honey glaze pack for an extra coating of sweet flavor. Curemaster's Note: The Tender Smoked hams comes fully cooked with all the fine pieces; skin-on, bone-in and more fat for an even fuller and sweeter taste. 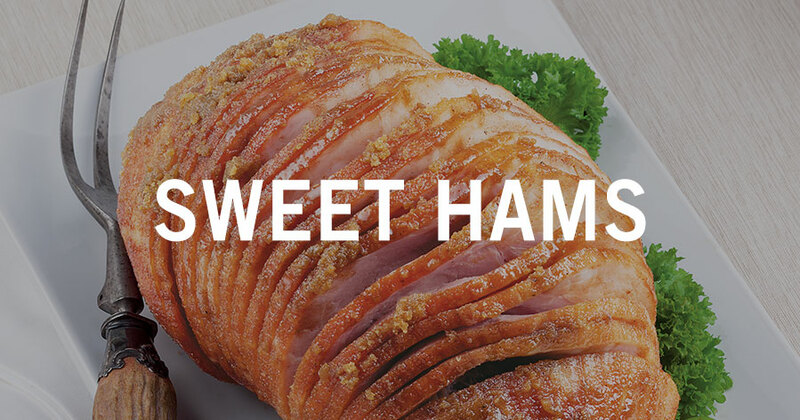 Holiday Tip: Sweet Hams are most popular during the Easter holiday season. The Surryano Hams are made from rare breed specific pork, raised outdoors with no added antibiotics. In this ham, premium pork and extended aging produce a world class delicacy with a deep mahogany and rich distinctive flavor. Curemaster's Note: The Surryano Hams are similar in marbling and firmness to the dry cured Serrano and Prosciutto hams. It comes ready to cut and serve. The Surryano has a nutty taste with undertones of apple or dried fruit. 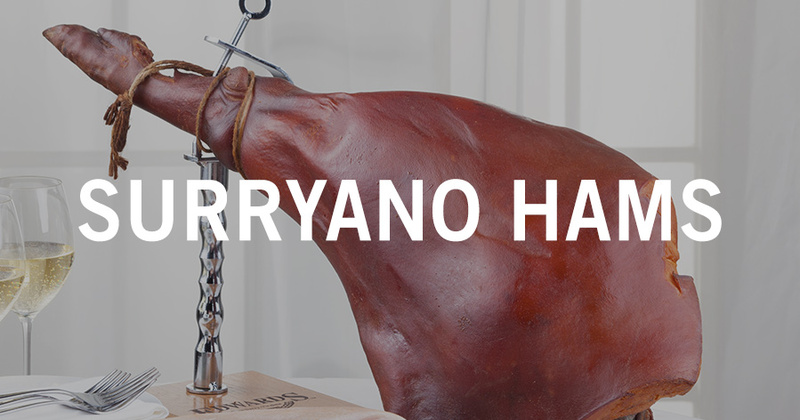 The Surryano Ham is available now!